Bushfires are just one of the potential fire risks that face small farms. Machinery, tools, chemicals and fuel in close proximity to flammable matter such as hay and leaf litter, pose a significant fire risk. As an owner, you should ensure that you have an effective fire safety plan in place and that every family member knows about it. Seek information and ratification of your plan from experts, such as your local CFA or ask you shire council. Don’t leave it until next week. 400L Silvan Squatpak for firefighting. 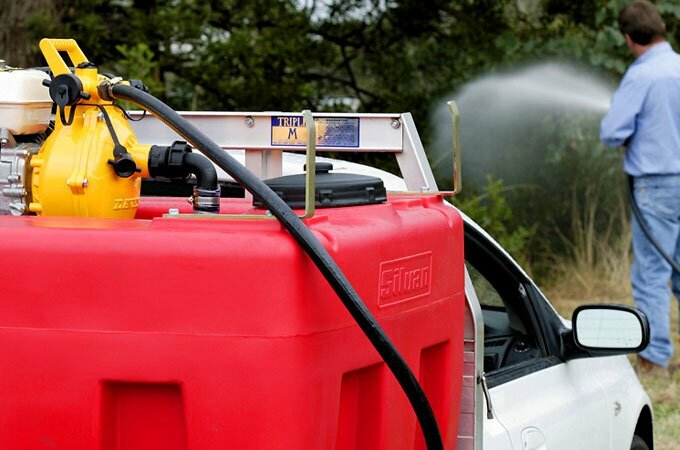 Ensure you have the right equipment to support your fire strategy: a Silvan Squatpak fire fighting unit (400L or 800L) is the indispensible, all round fire fighting package. It has a Davey/Honda GX160 5.5HP firefighting pump, a 20m/30m hose reel and fire fighting nozzle and can attach one or two hose reels. The Squatpak is also excellent for watering orchards and new tree plantings. 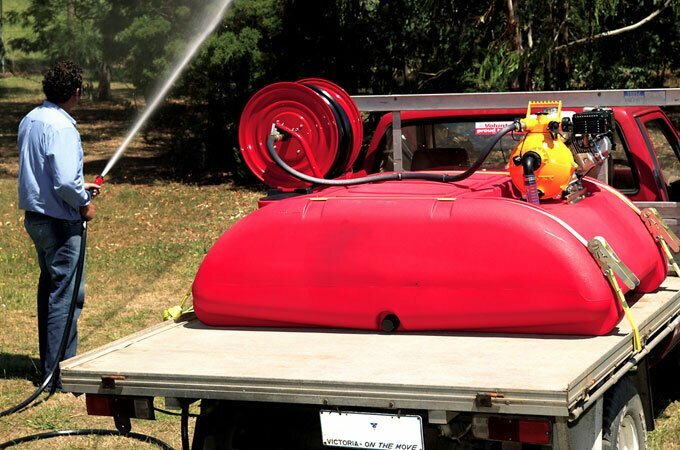 With a 400L or 800L baffled tank, the Silvan Squatpak fire fighting unit may be mounted on your tractor’s carryall. Low profile firefighter – 800L – for increased visibility. From left to right: 400L Silvan Squatpak and 800L Silvan Squatpak. The Silvan power fire fighting pump is ideal for fire fighting and for water transfer from dam to troughs, etc. 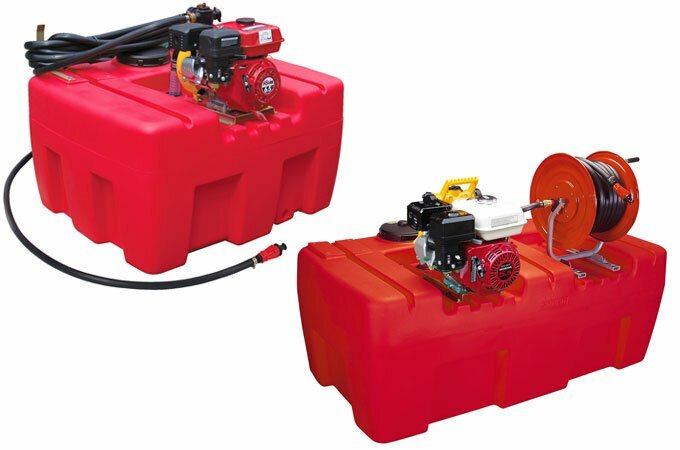 This 6.5hp unit has a high pressure, twin impeller fire fighting pump. There is also an optional Silvan power hose kit which includes a 20m fire fighting hose, nozzle, 3m suction hose and foot fitter. Silvan’s Selecta hose and pump work in conjunction with the Squatpak.